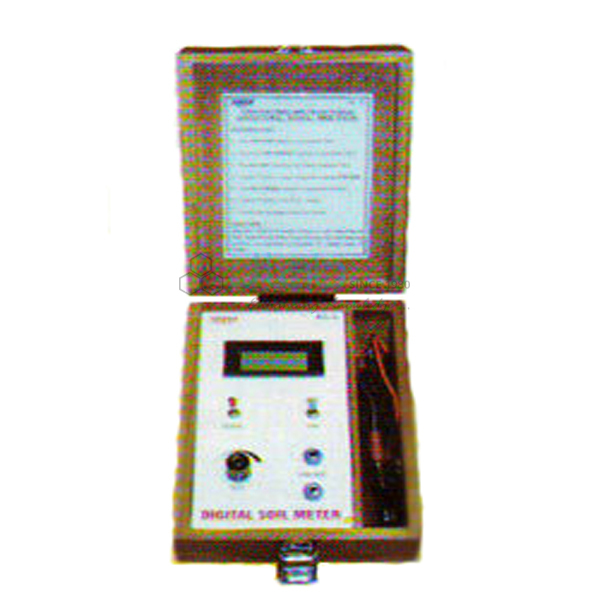 The instrument is for detecting saturation percentage of water in soil. It is workable on 9 V Battery 3.5 Digit display. Complete with 20 cm electrode and wooden box.